Two different girls, 2 different requests. Both girls able to, at least help, prepare their lunch. 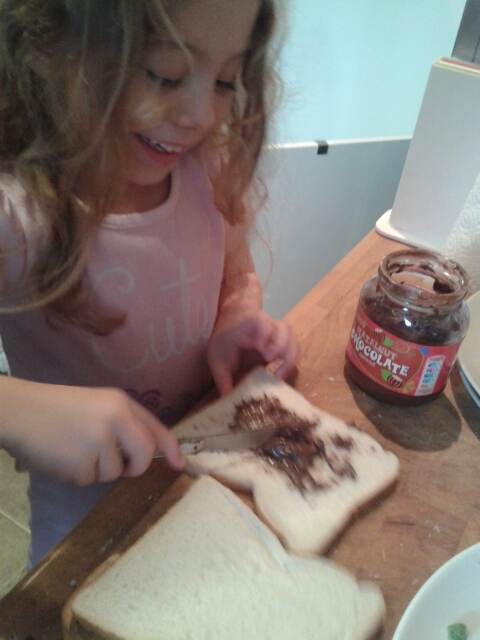 Egg sandwich for Imogen, chocolate spread in Erica’s. 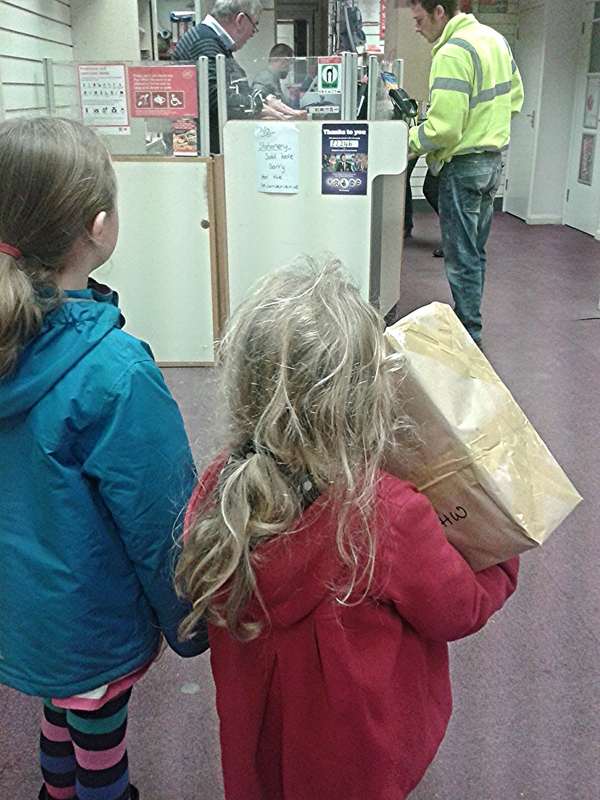 Today we needed to run a few errands – shopping, topping up the electricity & gas, and posting a parcel. The staff in the post office are lovely and know the girls, so are not surprised when they go in with a little job to do. It’s great for their confidence & social skills. 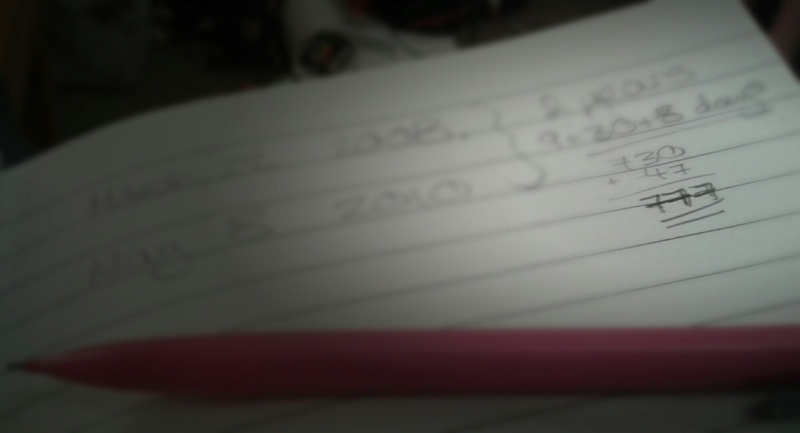 Numbers are everywhere and we often get questions or comments from the girls about time or dates. During discussions about the difference in age between them, today I learned it is a fantastic number of days! 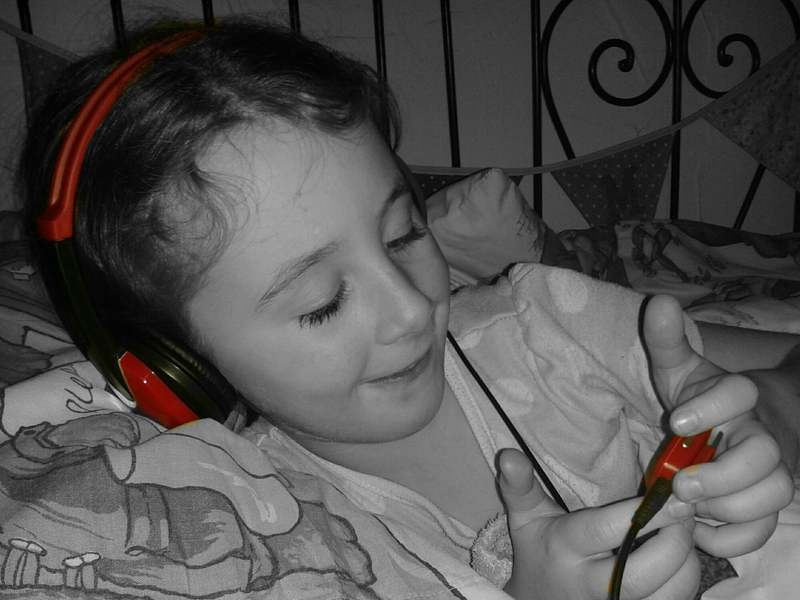 Imogen has her own MP3 player with a selection of music on. She listens to it when she needs some space, to calm down and relax. 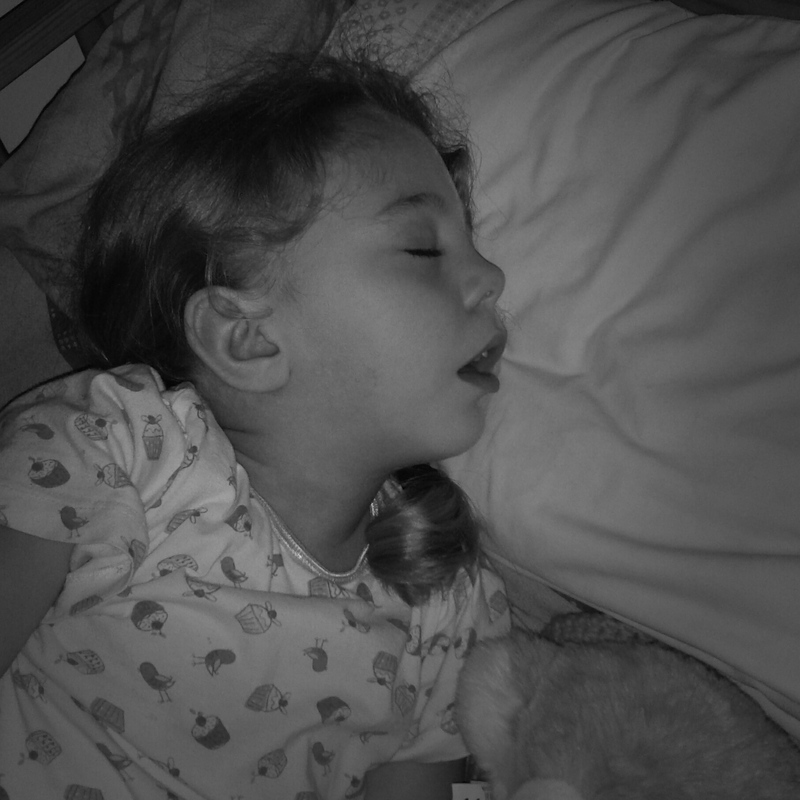 And recently she has been using it to help her at bedtime, as she sometimes struggles to switch her active brain off. All those questions, all those answers & all that learning needs processing. I wonder what she’s dreaming about tonight? Maybe tap dancing, maybe paper dolls, maybe Grandma’s smile. Today I went with the girls to Techniquest in Wrexham for a HE session. Engineering and programming with lego. 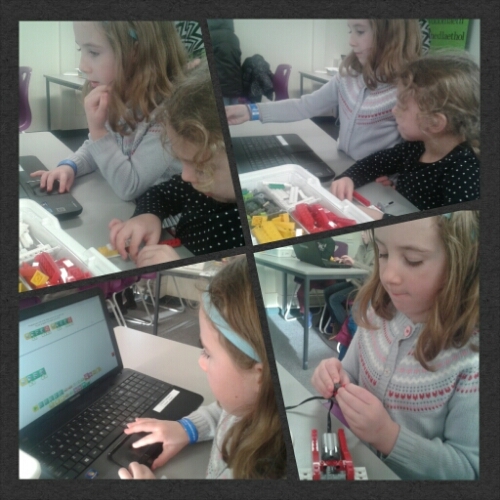 The girls loved it and we all learnt plenty – motors & cogs, programming, and teamwork. And the result? A roaring lion! The video shows the first programming, where we made the lion stand up & roar before laying down again and snoring. Later we added in a motion sensor so we could throw the lion a bone to eat before it went to sleep. The girls were really happy and excited when they saw what they had done – a definite sense of achievement. 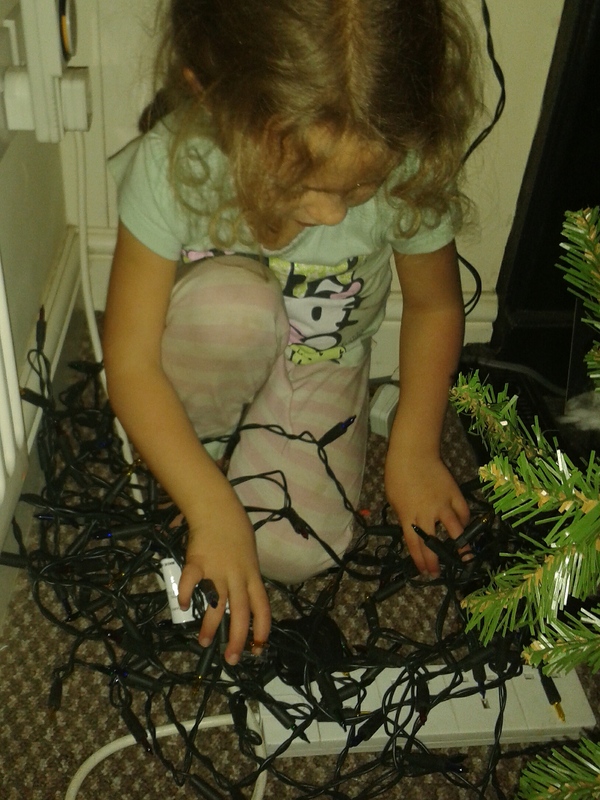 Don’t take the lights off the Christmas tree and let them fall into a pile on the floor near the socket, then unplug everything (including lights still on the tree) – this results in a very jumbled mess! We’ve just joined a Postal Bible School which the girls are enjoying. 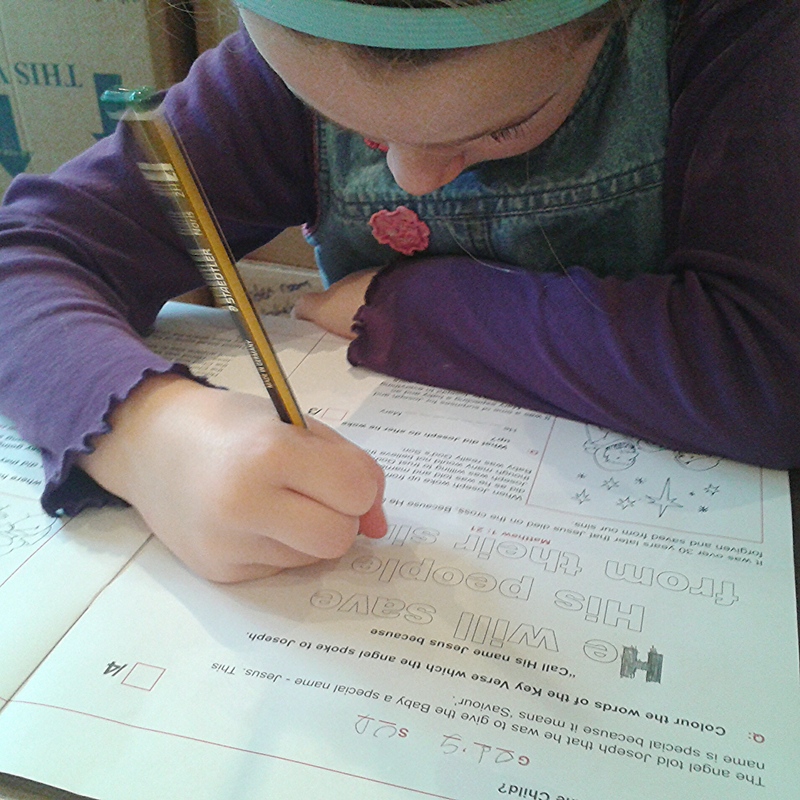 The are each sent a booklet with 4 sessions in and then when they are done they can send them back for marking. Points are added up and every so often they can cash then in for little gifts. 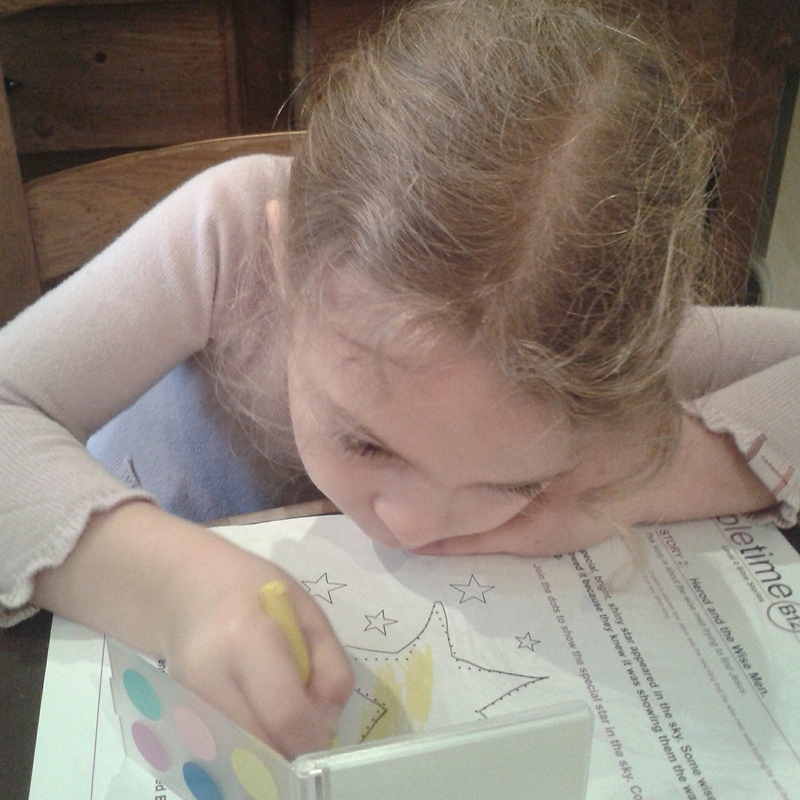 The worksheets are fun for them – same Bible passage for both girls but more in depth for Imogen – with lots of colouring and puzzles. 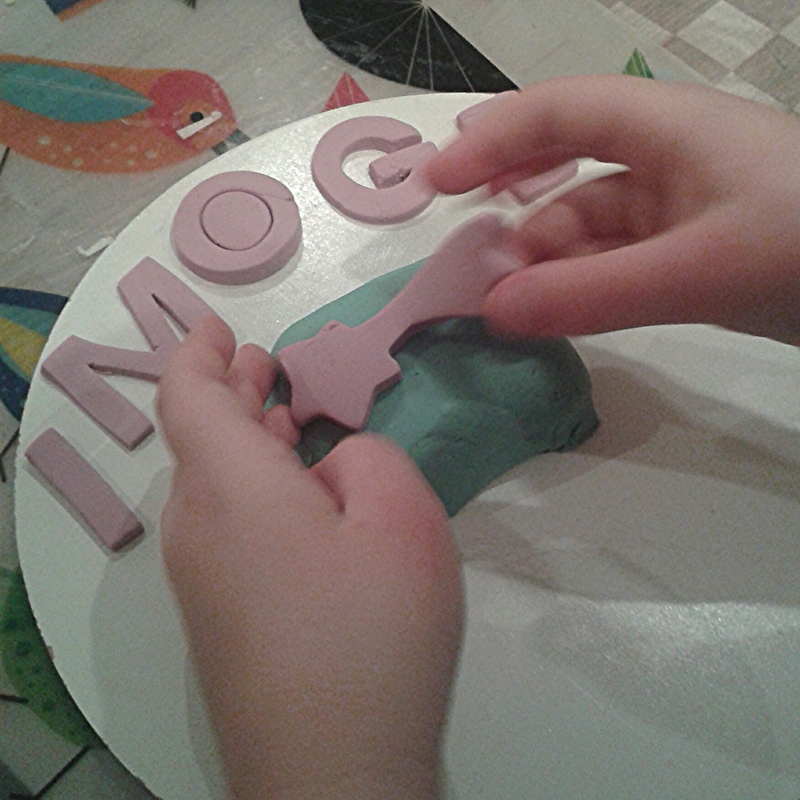 Literacy & crafting combined. The girls have been playing with this stuff loads recently. Shame it smells horrid and gets everywhere! 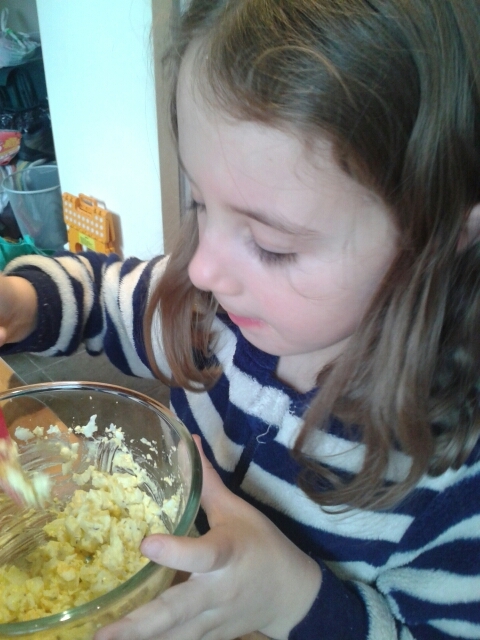 The girls have been watching Junior Bake Off on iplayer, and have been inspired to do some baking. Bread is in the oven and now they are making little tarts. 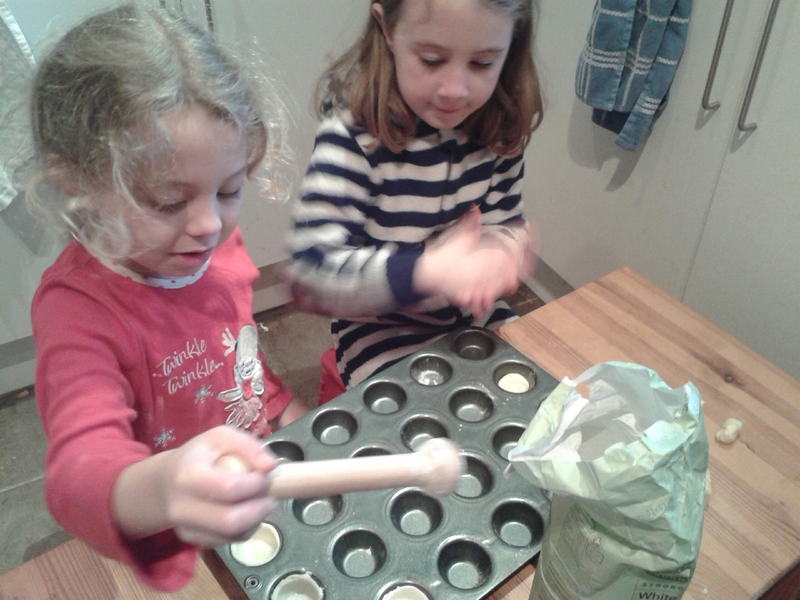 Imogen wants to make her’s into mini mince pies; Erica is going to fill them with a bit of chocolate spread and then cake mixture. Day 23 – sit still!? !